Not all weeks are created equal. This is true for all jobs but somehow achingly true for farming. Some weeks things flow. Your to-do list is up to date. Your garden produces a bumper crop. Dinner is on the table on time. I could talk about the fact that - even with the help of our wonderful neighbor, Mic - we still have nearly 80 veggie plants to be transplanted into the garden. Or about how my husband's truck broke down and it took days for the part to come in, leaving us scrambling to figure out how to pick up livestock feed. Or - worst of all - that the Postal Service so badly mishandled our duckling shipment that, by the time the ducklings arrived, they were desperately sick. No matter how much I tried to nurture them back to health, so many ducklings lost the fight. I cried. A lot. More than once during this week I questioned whether we have what it takes to run this farm. There's been so much Everyday magic too. Like the 6 goslings that hatched 10 days ago. The ones who are now thriving more than any young birds I've ever seen. Turns out (first time) Mama and Daddy Goose take their parenting job seriously and are raising happy, active babies. Daddy Goose carefully watches over his babies. 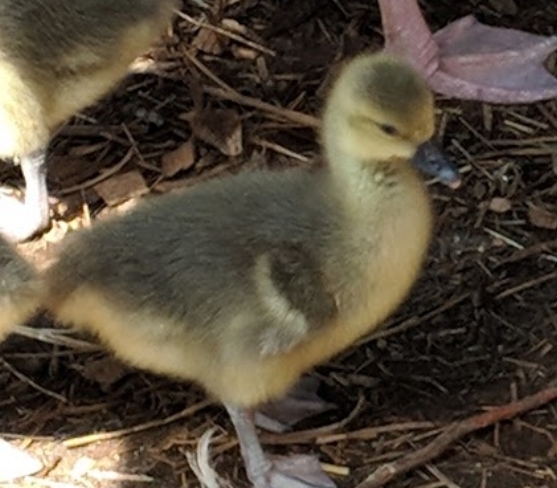 1 week old gosling enjoys the warm breeze. And how peony season unexpectedly started early this year! Friday, we woke up to scores of dinner-plate sized pink, purple, red and white blooms, brightening our entire western pasture. 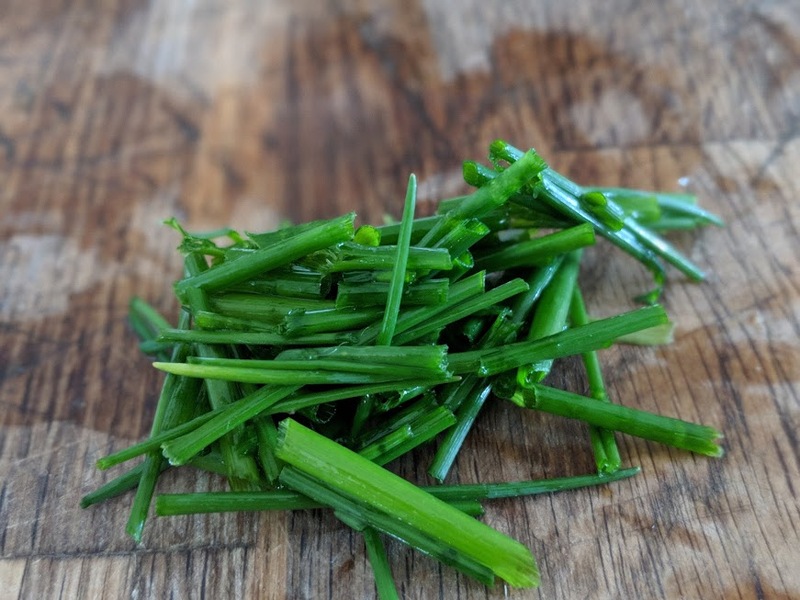 Or how my older daughter was so excited that chives are now growing, that she immediately ran outside - in her pajamas - picked as many as she could and then "finely" chopped them so I could put them in our potatoes for dinner that night. 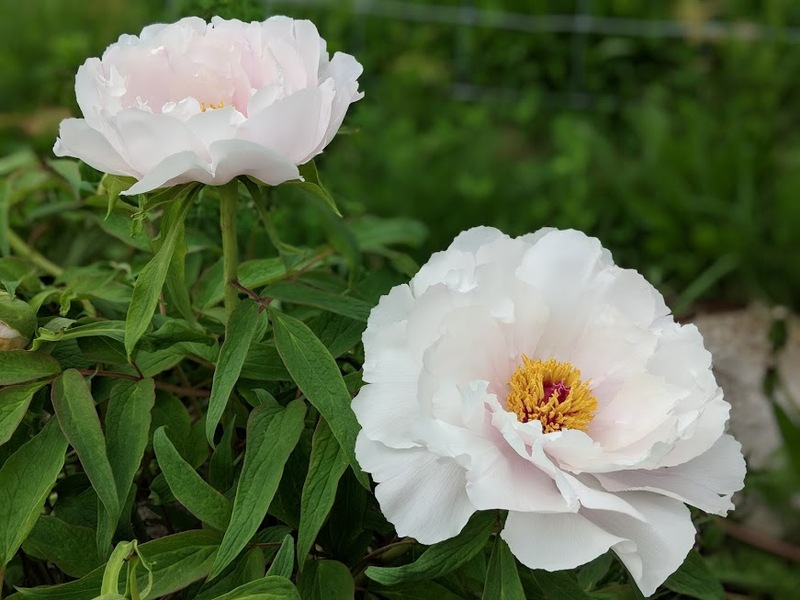 The goslings, the peonies, my daughter's over-the-top excitement about something as simple as chives - these are not momentous things. Really, I could so easily miss them. Which makes me wonder - is is by enduring life's hard parts, that we also develop the discernment to see those mundane, yet deeply joyful, moments dotting the fabric of our daily lives? Welcome to Lyndaker Farms! We look forward to sharing stories, recipes and just all-around farm inspiration. Oh, and don’t forget to check your inbox! As a welcome gift, we have sent you a recipe pack showing you how to get 3 farm-fresh meals from just 1 Pastured Chicken! Newer PostSummer! Time For My Favorite Chicken Salad! Older PostPart 2: Why is my roast pastured chicken tough and dry?? ?